An established player in the fashion industry, Mini Singh is giving women plenty of options to make elegant sartorial choices. As a fashion designer she knows how to highlight feminine grace with classic and contemporary outfits. To keep her net-savvy customers updated on the latest launches by the brand and sell them online, she needed an aesthetically rich platform and gave us the chance to prove our skills. This was the project where we had to blend technology and design to create something that could delight astute fashionistas. 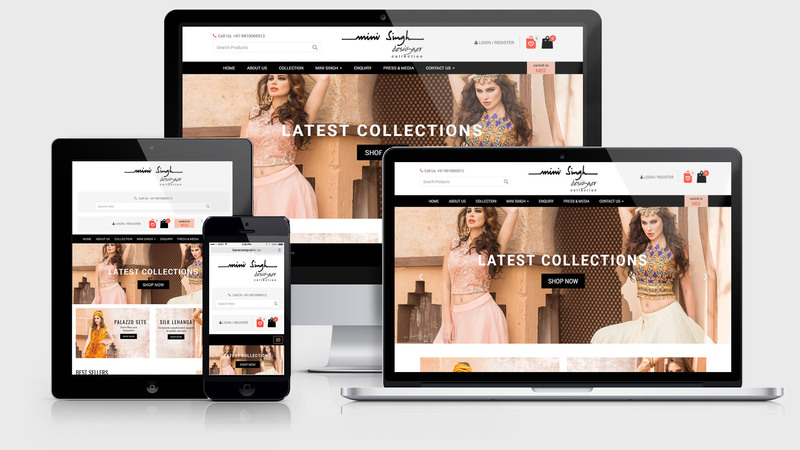 We began the development job with Custom PHP Framework and went on to create a bespoke e-commerce platform that can be scaled further to include a wider range of products. Our creatively motivated designers were a part of the process and ensured that visuals had high resolution to keep the online store alive. The fully functional website is now an efficacious marketing and selling tool for the talented fashion-designer. An enterprising fashion designer contributing to new trends in the industry, Mini Singh does have high tastes in aesthetics and that reflects in her own designs. 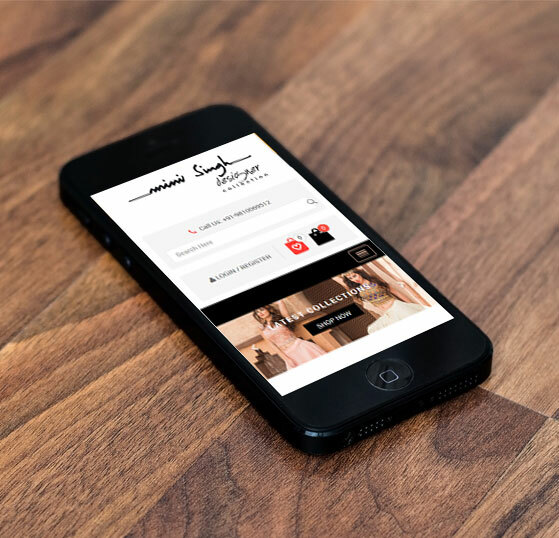 We were approached by her brand for an e-commerce website to promote the best of their offerings.